In April 1978, “Elektra” label released “Boys in the Trees”, the seventh Carly Simon studio album. It was recorded in 1978, and was produced by Arif Mardin. 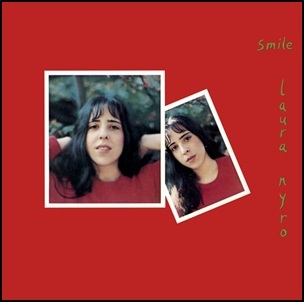 The album won “Grammy Award” for “Best Album Package”. 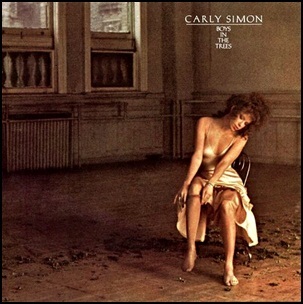 All tracks by Carly Simon except where noted. 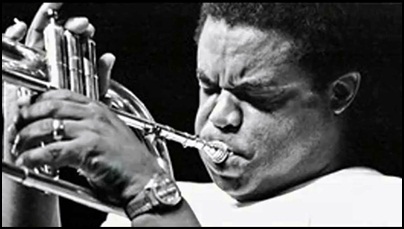 On December 29, 2008, Frederick Dewayne “Freddie” Hubbard died aged 70. He was trumpeter, known primarily for playing in the bebop, hard bop and post bop styles. 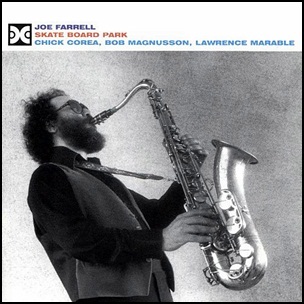 He has performed and recorded with many famous musicians including George Benson, Walter Benton, Art Blakey, Tina Brooks, Kenny Burrell, George Cables, Betty Carter, Ornette Coleman, John Coltrane, Richard Davis, Eric Dolphy, Kenny Drew, Charles Earland, Bill Evan, Joe Farrell, Curtis Fuller, Dizzy Gillespie, Clark Terry, Oscar Peterson, Benny Golson, Dexter Gordon, Slide Hampton, Herbie Hancock, Jimmy Heath, Joe Henderson, Andrew Hill, Bobby Hutcherson, Milt Jackson, Billy Joel, Elton John, J.J. Johnson, Quincy Jones, John Lewis, Kirk Lightsey, Ronnie Mathews, Jackie McLean, The Modern Jazz Quartet, Wes Montgomery, Hank Mobley, Alphonse Mouzon, Oliver Nelson, Duke Pearson, Sam Rivers, Max Roach, Sonny Rollins, Rufus, Poncho Sanchez, Don Sebesky, Wayne Shorter, Leon Thomas, Stanley Turrentine, McCoy Tyner, Cedar Walton and Randy Weston. 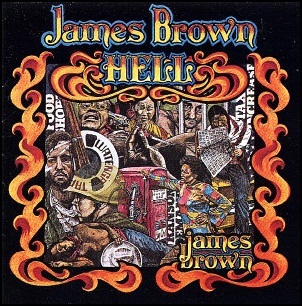 On June 28, 1974, “Polydor” label released “Hell”, the 41st James Brown studio album. It was recorded in 1974, and was produced by James Brown. All tracks by James Brown, except where noted. On May 25, 1984, Eric J. Gale died aged 55. 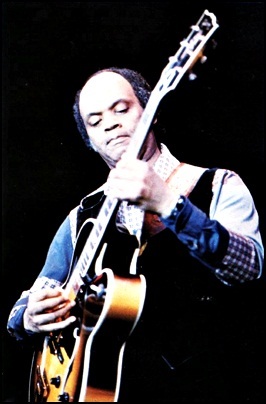 Being jazz and session guitarist, as a leader he recorded twelve albums, and has performed and recorded with some of the biggest names of the music scene, including Clark Terry, Oliver Nelson, Jimmy McGriff, Benny Golson, Van Morrison, Bernard Purdie, Herbie Mann, Yusuf Lateef, Chico Hamilton, Sonny Stitt, Quincy Jones, Al Kooper, Lena Horn, Gabor Szabo, Freddie Hubbard, Dizzy Gillespie, Esther Philips, Chuck Rainey, Johnny Hammond, Stanley Turrentine, David Newman, Hank Crawford, Grover Washington, Jr., Roberta Flack, Stanley Turrentine, Hubert Laws, Bob James, Joe Higgs, Van McCoy, Ron Carter, George Benson, Phil Upchurch, Tom Scott, Idris Muhammad, Ashford & Simpson, Cedar Walton, Stanley Turrentine, Blood, Sweat & Tears, Paul Butterfield, Joe Cocker, Lalo Schifrin, Randy Crawford, Rainbow, Lalo Schifrin, Patti Austin, Maynard Ferguson, Ralph MacDonald, Essra Mohawk, Carla Bley, Pee Wee Ellis, Art Farmer, Tom Scott, Jeremy Steig, Joe Farrell, Kenny Loggins, David Matthews and David Ruffin. 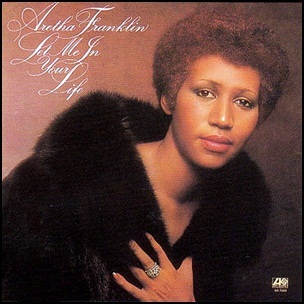 On February 25, 1974, “Atlantic” label released “Let Me in Your Life”, the twenty-first Aretha Franklin studio album. It was recorded April – September 1973, at the “Whitney Studios” in Glendale, and was produced by Jerry Wexler and Aretha Franklin.